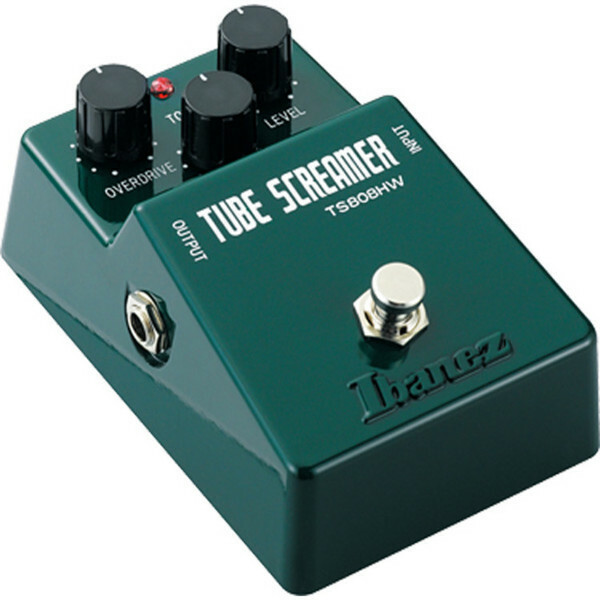 The Ibanez TS808HWB is a deluxe version of the Tube Screamer overdrive pedal, built with the pro musician in mind. Starting from the same select JRC4558D chips as the original, revered TS808, it is completely hand-wired with high-end Japanese OFC cable and encased in a special, heavy-duty metal box. The TS808HWB offers plenty of control over its warm overdrive effect, with Overdrive, Tone and Level controls. It is also equipped with True Bypass, so there is no loss of tone when the pedal is switched off.